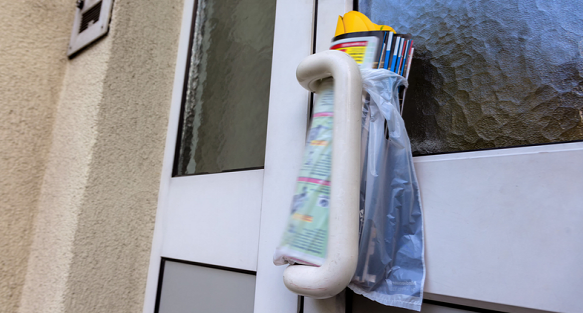 People pay more attention to leaflet distribution door drops than they do to TV or press ads! 17%* take time over press ads. People tend to read papers for news and views more than anything else. In fact, 4 out of 5 say they tend to flick quickly over press ads. 32%* take notice of TV ads. Awareness of TV ads is high and people tend to enjoy them for their entertainment value. But it's a medium that relies on repetition to make its mark. When questioned, 62% claimed they didn't really take much notice of them. 48%* of consumers respond to an item delivered through their letterbox at one stage or another. 79%* of people glance, read, or pass on leaflet distribution material. Leaflet Distribution works on a different level and have far more impact than you might think. Whilst press and TV involve passive participation, Leaflet distribution are more direct and demand instant attention. People have to pick them up and therefore become actively involved, giving your message a greater chance to cut-through.